If you’ve never dyed your hair before, it can be a little scary to take a chance. Sometimes it’s easier to take baby steps. There’s no doubt about it, hair dyes are full of chemicals that are not exactly hair friendly. Not to mention it can be costly. Once your roots start growing in all you want to do it get those bad boys touched up. Before taking the leap and dying my hair I did a little lightening with lemon juice. The acid in the lemon juice accelerates the exposure from the sun that lightens your hair. It’s really simple. 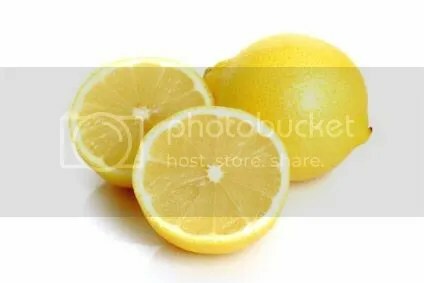 Cut one or two lemons in half and squeeze all the juice out and about one third of water. Pour the juice and water into one of those plastic spray bottles. The spray bottle is perfect for helping you distribute the lemon evenly. The lemon juice won’t give you the same results as if you’d dye your hair, but it will lighten it. This works best for brown to dirty blond hair. So get to squeezing those lemons and pick the perfect spot to lay out in. Exposing your hair to the sun can dry it out. Make sure to get a good conditioner afterwards. It’s cheap, simple, and you get to work on your tan.